Not only does R2-D2 stash hidden lightsabers away, but he's even got room to provide you with some style! 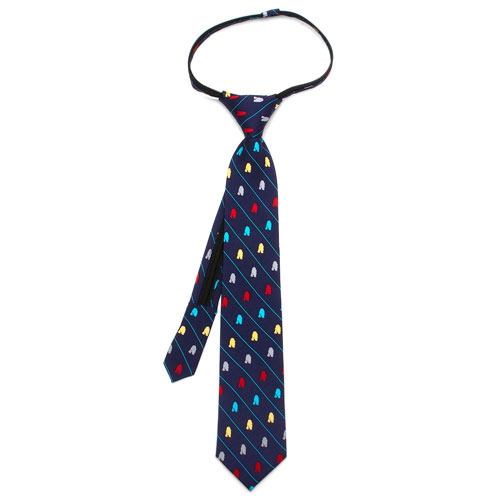 This Star Wars R2-D2 Striped Boys Zippered Silk Tie measures approximately 14-inches long x 2 3/8-inches wide and features varying colors of the popular astromech droid on a navy blue background with pinstripes. 100% Silk. Pre-tied bow with easy-on, easy-off zip closure. Best suited for ages 3-6.